Atlas Grand Hotel offers premium amenities and ensures that the visitors coming here will find a peaceful retreat. 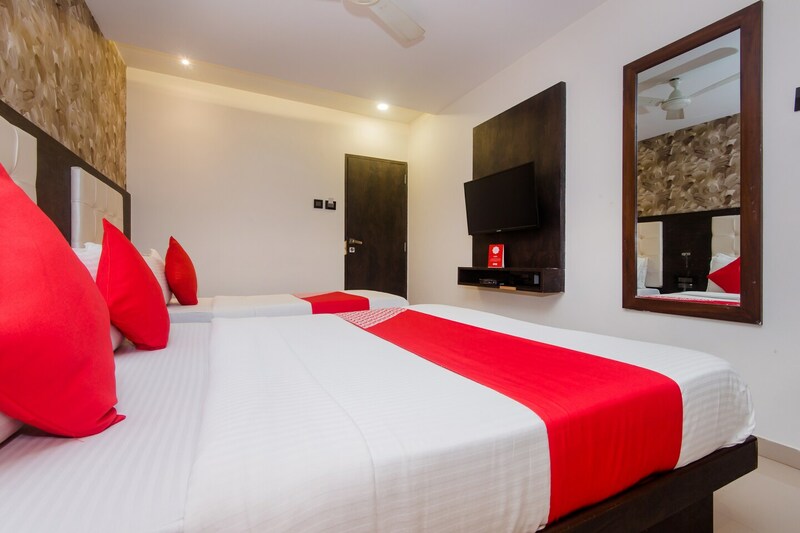 Cosy and bright rooms decorated with wooden finishing and furnishing ensure pleasant stay. Amenities like free Wi-Fi and laundry are available for the convenience of the guests. Parking facility is available for the guests coming here and need a safe spot to keep their car. Stay assured of your security here with the presence of CCTV cameras in the premises. For a hearty dinner, you can head to Bhajohari Manna for delicious Bengali Cuisine. For shopping, you can head to R City Mall and select from the most premium brands. Being close to Asalpha metro station, one can easily access to Ghatkopar and Andheri in a matter of minutes.